Noise reduction - Bennett & Co Ltd.
Bennett & Co are able to offer a complete service in dealing with the increasing problems of noise caused by fans and plant running at night in close proximity to residential premises. This could involve noise measurement, help in negotiations with the planning and environmental health authorities, through design to construction and installation. It could also involve designing a complete noise reducing fan house or designing and supplying providing specialist fan inlet silencers and acoustic louvres. The fan house shown above involved construction from solid concrete blocks with the roof made from special noise reducing composite panels. An acoustic louvre reduces fan inlet noise. This particular site is on the edge of a village at the top of a hill where summertime background noise levels at night are very low and therefore any generated noise will travel far, particularly low frequency rumble from centrifugal fans. 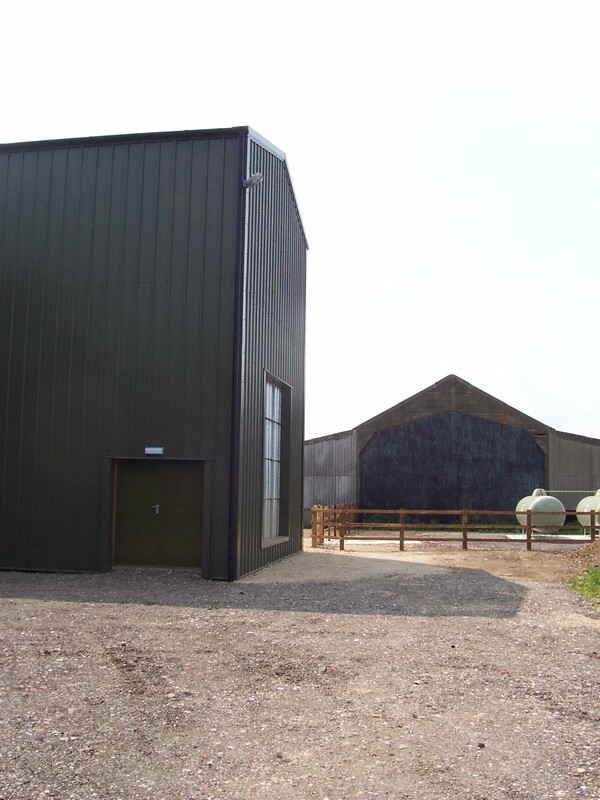 Bennett and Co completed a large grain and onion storage project (photographs below) in the fens where the fans would frequently be run to dry and cool at night. Both fan houses were clad not only with insulated composite cladding but had an acoustic lining also. 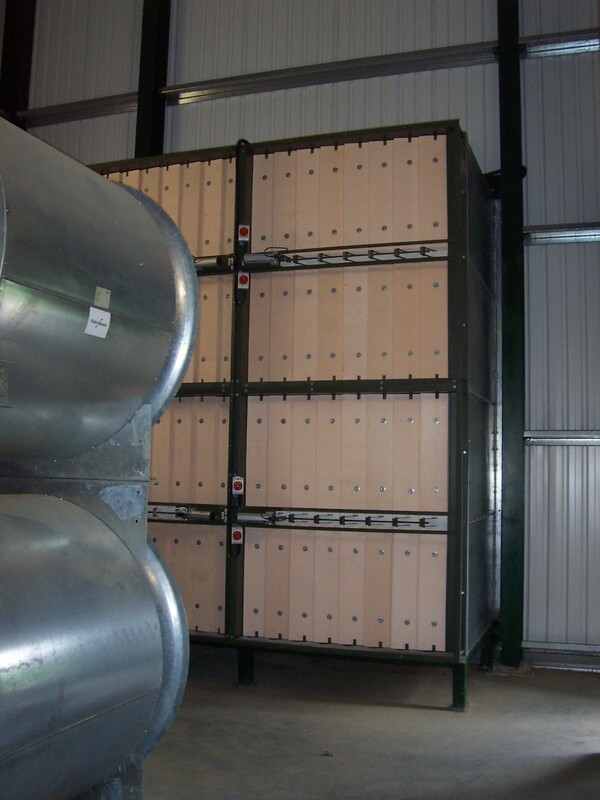 The noise levels had to meet a planning requirement of 32dBA and so the fan air inlets were designed as large splitter box attenuators with the motorised air intake louvres mounted on the internal face.